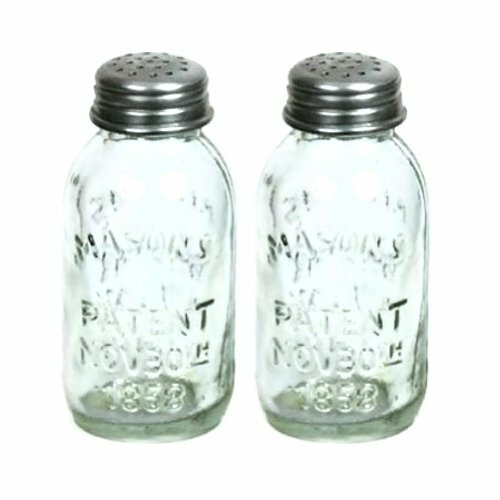 Set of 2 glass mason jar salt and peppers shakers with tin tops. 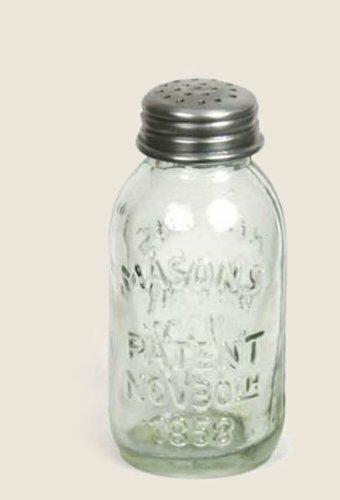 Each and every shaker measures 1½\" diameter and 3¾\" tall. Bring a rustic charm to the table with these common shakers. Please wash ahead of use. Present boxed for straightforward wrapping! Add a touch of country charm to your table!